Is Becton Dickinson and Co (BDX) A Good Stock To Buy Right Now? Hedge fund managers like David Einhorn, Dan Loeb, or Carl Icahn became billionaires through reaping large profits for their investors, which is why piggybacking their stock picks may provide us with significant returns as well. Many hedge funds, like Paul Singer’s Elliott Management, are pretty secretive, but we can still get some insights by analyzing their quarterly 13F filings. One of the most fertile grounds for large abnormal returns is hedge funds’ most popular small-cap picks, which are not so widely followed and often trade at a discount to their intrinsic value. In this article we will check out hedge fund activity in another small-cap stock: Becton Dickinson and Co (NYSE:BDX). Is Becton Dickinson and Co (NYSE:BDX) a healthy stock for your portfolio? Prominent investors are unfortunately turning less bullish. The number of bullish hedge fund positions decreased by 10 in recent months. BDX was in 31 hedge funds’ portfolios at the end of September. 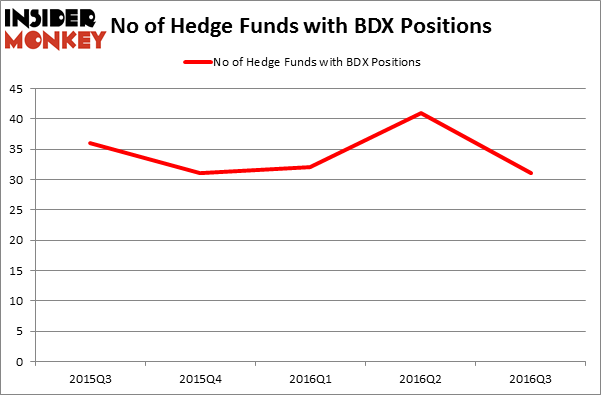 There were 41 hedge funds in our database with BDX holdings at the end of the previous quarter. 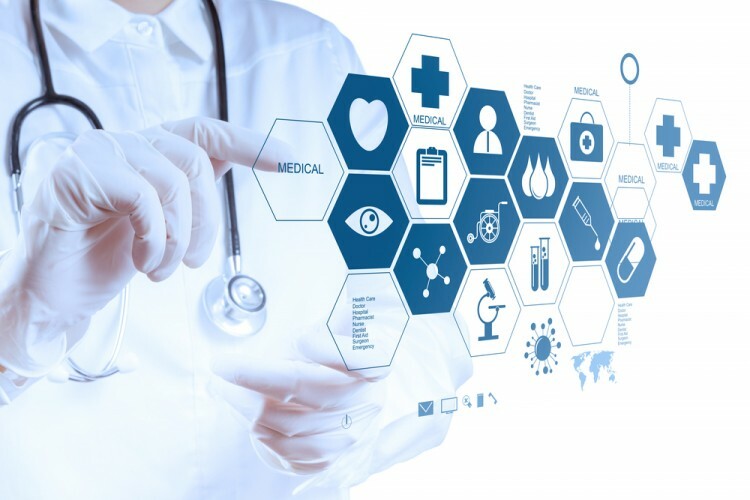 At the end of this article we will also compare BDX to other stocks including Syngenta AG (ADR) (NYSE:SYT), Marsh & McLennan Companies, Inc. (NYSE:MMC), and Yahoo! Inc. (NASDAQ:YHOO) to get a better sense of its popularity. In certain cases a decline in overall hedge fund interest may not be a negative signal. Now, we’re going to analyze the key action regarding Becton Dickinson and Co (NYSE:BDX). What does the smart money think about Becton Dickinson and Co (NYSE:BDX)? At the end of the third quarter, a total of 31 of the hedge funds tracked by Insider Monkey were long this stock, a drop of 24% from the previous quarter. With hedgies’ positions undergoing their usual ebb and flow, there exists a few key hedge fund managers who were upping their stakes substantially (or already accumulated large positions). Of the funds tracked by Insider Monkey, Generation Investment Management, managed by David Blood and Al Gore, holds the biggest position in Becton Dickinson and Co (NYSE:BDX). Generation Investment Management has a $218 million position in the stock, comprising 2.4% of its 13F portfolio. On Generation Investment Management’s heels is Alyeska Investment Group, managed by Anand Parekh, which holds a $121.6 million position; 1.2% of its 13F portfolio is allocated to the company. Some other peers with similar optimism encompass Richard Chilton’s Chilton Investment Company, Cliff Asness’ AQR Capital Management and John Brennan’s Sirios Capital Management.